Duelyst keeps it simple on the surface, but delivers chess-like tactics. A gorgeous tactics card game that's simple to pick up but has significant depth. What is it? A tactics card game that feels like a mix between Hearthstone and chess. I’m faced with a choice no other card game has given me: do I play my minion in front of my general or behind? In front seems like the logical option, as it would be right next to the opposing general, who will almost definitely want to run away on the next turn. But if I put it behind my general I can cut off an escape route they may want to take. It’s a deceptively simple decision, and making the wrong choice could be the difference between winning or losing the game. I summon behind, and face my next puzzle: do I attack their general with mine? Duelyst is a digital CCG with more tiny, important decisions than any card game I’ve played before. Matches play out on a five-by-nine board that starts with just you and your opponent’s general. Each general has 2 attack, 25 health, and a unique Bloodborn Spell. Like most other CCGs that take their inspiration from Magic: The Gathering, you draw cards from a custom built deck, play spells, and summon minions until you’ve killed the opposing general. The bones of the game feel comfortable and familiar, but adding a board and movement makes a staggering difference. Because you can only summon minions in squares adjacent to friendly units, and most units only move two squares per turn, small choices on the first turn of the game—where to step or where to summon—will affect turns all the way to the end of the match. Even on the first turn of the game, the decisions of where to move and summon are important. Controlling your opponent’s movement can be as important as dealing damage to them. Attacking their general with a 2/2 minion isn’t a great play, as it just deals a negligible two damage while they counterattack and kill it. But leaving a minion next to their general—or, even better, boxing them in—limits the choices they have on their turn. Sure, they can kill the minion just as easily as if you had attacked, but units can only move before attacking, which means that 2/2 has essentially rooted them in place. And deciding whether or not to attack their general directly with yours complicates things further, as the net result is you both take two damage. The 350-plus card pool is split into six factions, each with their own unique style, along with a large group of neutral cards. Lyonar is the simplest faction, meant to ease a new player into the game with its heals and large 'Provoke' minions—an effect that forces all adjacent enemy units to attack it before they can move or attack anything else. Vanar is a snowy, blue faction all about pushing towards your opponent's side of the board and placing immovable wall minions to limit their options. While Songhai is an aggressive combo-based faction, aiming to kill you before you even see it coming. All six options feel unique and expressive, in both their playstyles and their art. And the art is a major high point of Duelyst. Pixel art has become a popular option among indie developers, and is associated by some skeptics with a lack of resources to make something ‘better.’ But Duelyst’s sprites feature some of the greatest pixel art animation I’ve ever seen. Only the units and card effects are pixelated, but the extreme level of detail that goes into each one is stunning. And thanks to Duelyst’s dynamic lighting system, the sprites don’t feel out of place in its non-pixelated battlefields and UI. Another great change from the CCG formula is Duelyst’s 'Replace' mechanic. Once a turn, you can mulligan a card from your hand to draw a different one. This allows decks to be significantly more consistent, which is important to making Duelyst feel like a tactics game in addition to a card game. Falling behind on the board can be hard to come back from if you get surrounded, and the replace mechanic lets you draw into answers faster. Still, despite that extra level of depth, I found myself occasionally missing the big “wow” moments I’ve come to expect from tense matches in games like Hearthstone or League of Legends. Short match times (8-10 minutes) and more consistent draws mean there’s little room for surprise. It’s not that every match plays out the same—far from it, as the decision-tree for any given match can branch wildly outward—but that there isn’t much opportunity for big unexpected plays. The cards are creative and unique, but also relatively straightforward. There’s nothing like Hearthstone’s new legendary Yogg-Saron in Duelyst which, depending on who you talk to, could be a good thing or a bad thing. It’s strange complaining about a lack of RNG given how often Hearthstone’s community whines about its prevalence, but after playing Duelyst I can understand why Blizzard chose the path it did: big, tweetable turns. Duelyst goes down a quieter, more cerebral path, and it works, just at the cost of exciting stories to tell my friends. The Vetruvian faction builds structures that create temporary units at the start of each turn. Building a collection in Duelyst is less daunting than in its competitors, as rarer cards have frequent drop rates and the game practically shovels gold at you. You get gold for every two wins, bonus gold for your first win each day, and two daily quests that ask you to play four games as a certain faction, deal 40 damage in a game, or other things like that. More often than not, completing all of these only took a little over an hour and left me with enough gold for a Spirit Orb—Duelyst’s version of a pack of cards. For those with more money than time, you can also purchase Spirit Orbs with cold, hard cash, but I never felt behind the curve for not doing so. Cards come in four rarities: common, rare, epic, and legendary. Each orb has five cards, one of which is guaranteed to be a rare or higher, while epics show up roughly once in every two orbs, and legendaries once in every four. That means you find 'rare' cards much more often than in most CCGs, but the flip side is you’ll need more of them. Duelyst has a deck size of 40 cards with a max of three copies of any card, including legendaries. So while the odds of pulling that one legendary you need are higher, you’ll likely need three of them to fill out your deck. And Duelyst’s deckbuilding meta is still very young, especially considering Bloodborn Spells—a reusable 1 mana spell unique to each general that has a two turn cooldown—weren’t added to the game until a few days before its official launch last week. Everything is still in flux, but something that’s been a constant for a while now is the prevalence of a handful of neutral minions. Cards like Healing Mystic, Lightbender, Emerald Rejuvenator, Repulsor beast, and many more, each sporting a decent body with a strong ability like healing units or Dispelling enemies, offer enough utility that they can work in with pretty much any decklist. Strong neutral minions aren’t inherently a problem, but they will be if these cards can still fit into every single deck a year down the road. Opening an orb like this isn't as rare as you'd expect. Duelyst adds four new cards every month and two larger expansions are already in development, so there’s plenty of opportunity for Counterplay Games to shake up the meta as it sees fit. But the truth of the matter is that much of the audience Duelyst appeals to probably won’t care about similar-looking decks. Despite the high skill cap and quickly branching decision tree, Duelyst is a remarkably simple game to play. It’s easy to understand and to learn, and a great card game to play casually if you aren’t looking to tryhard your way up the ranked ladder. 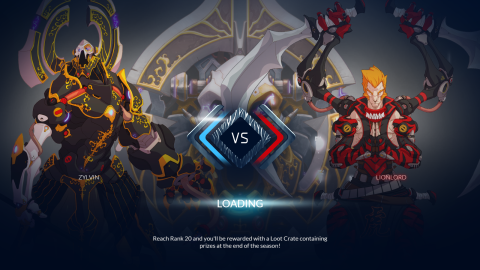 I enjoy dropping into Duelyst for a game or two as much as I enjoy playing it through the better part of a weekend. It's a more relaxed commitment where I don’t feel bad about building a subpar deck just because a card looks cool—and lord knows there are a lot of cool looking cards that don’t make their way into the top decks. This is a game I look forward to getting better at, and the first digital CCG I’ve seen that could potentially loosen Hearthstone’s chokehold on the genre. Surrounding an opponent can severely limit their options, especially with the Magmar faction's sticky Rebirth minions which turn into an egg on death. Gold comes frequently, and it's not hard to gather enough for a Spirit Orb in an hour or so. Removal spellss aren't entirely uncommon, so what looks like a dominating board position can easily change. I never felt the need to purchase Spirit Orbs with real money. The Abyssian faction specializes in creating lots of tiny minions, and a little luck can give them an explosive start. This was on turn 1. The deck building screen isn't as fancy looking as the rest of the game, but it's easy to navigate and sort through.